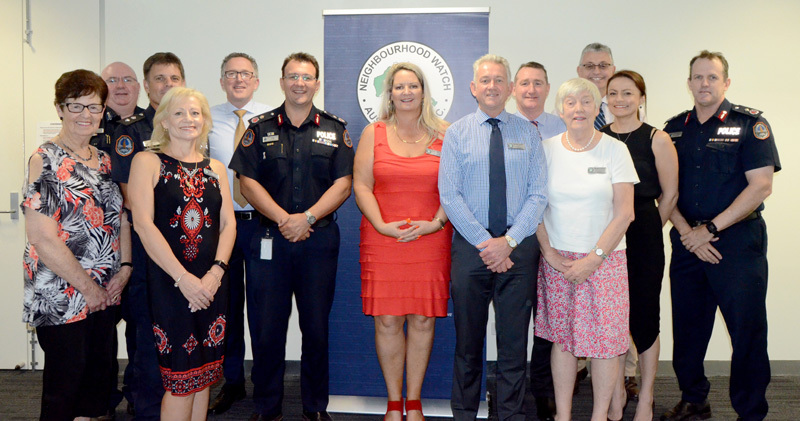 This month representatives from the Northern Territory Police met with the board of Neighbourhood Watch Australasia who were in Darwin for their quarterly meeting for the first time since 2013. Commissioner Reece Kershaw said the relationship between Neighbourhood Watch and NT Police was an important part of enhancing public safety through crime-prevention initiatives. "We place the highest value on our partnership with the community, and grass-roots initiatives such as Neighbourhood Watch go a long way to helping keep people and their property safe from crime. "Here in the Territory, there is a strong and vibrant Neighbourhood Watch network doing great work. Anyone who wants to work with Police to make a contribution to their safety and security should strongly consider getting in touch with Neighbourhood Watch. "They are important members of the team, and can point to an impressive track record in identifying and solving issues at a local level," he said. Mr Kershaw was joined at the meeting by Acting Deputy Commissioner Lance Godwin and Acting Assistant Commissioner David Proctor. Commissioner Reece Kershaw with the Neighbourhood Watch Australasia board.